There is actually a fifth one called ServiceControl but this is an infrastructure / behind the scene tool which you don’t really have to care about (well that’s not entirely true but this is a story for another blogpost). 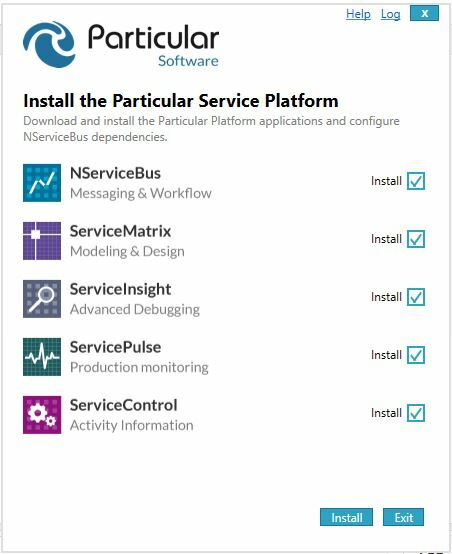 I assume you already know NServiceBus. So let’s skip that. ServiceInsight gives you visibility across queues, processes, and machines showing messages whose processing has failed (and for what reason) as well as their relation to other messages. That is the marketing description from the website. For me I’d say ServiceInsight is “In the brain of Andreas Öhlund”. Andreas Öhlund has great knowledge about different transports, how to monitor and maintain distributed systems and more. 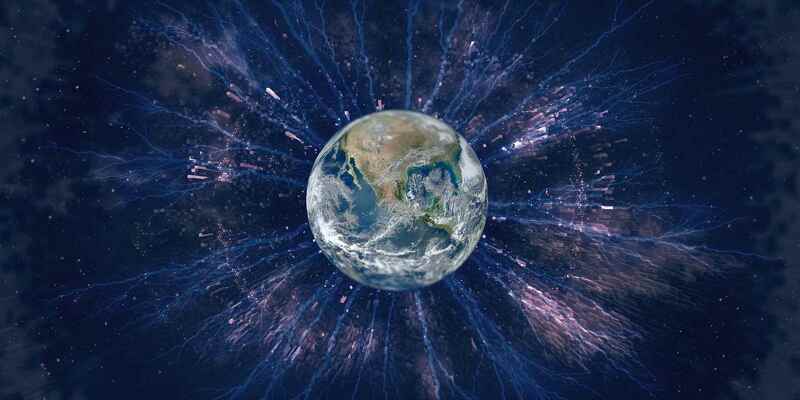 So this is essentially his deep and broad knowledge baken into a tool which helps you regaining control over your distributed system. Even debugging it! That’s the marketing description from the website. For me I’d say ServiceMatrix is Udi Dahan’s best thinking compiled into a Visual Studio plugin which helps you to do SOA right! Everytime you want to something dirty like sending commands over service boundaries this tool will tell you NONONO, don’t do that! Ok I confess Udi would say this in a much more calm and eloquent way than I can express that in this blogpost. Keep track of your system’s endpoints health, monitor for any processing errors, send failed messages for reprocessing and make sure your specific environment’s needs are met – All in one consolidated dashboard. That’s the marketing description from the website. For me I’d say ServicePulse is “In the brain of Andreas Öhlund”^2. Taking the ideas of ServiceInsight farther by enabling endpoint monitoring and custom health checking. Even your managers will get excited about this tool! Enough mouthwathering. How do we install the platform? Here is a sneak peak how the installation experience could look like. But until the full platform is released you have to download each installer individually. You choose the tools you want to install. Hit install. 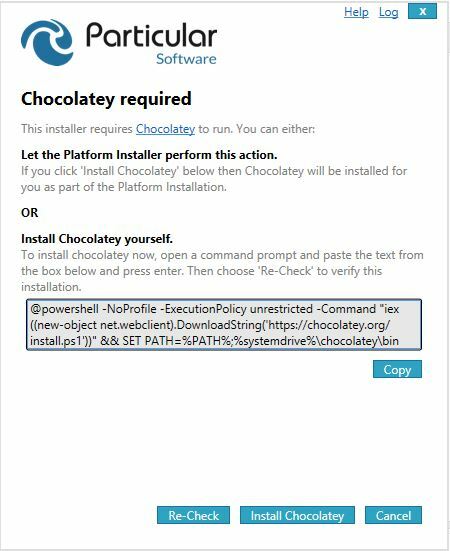 The installer will prompt you to install chocolatey (you can do it manually or let the installer do it). 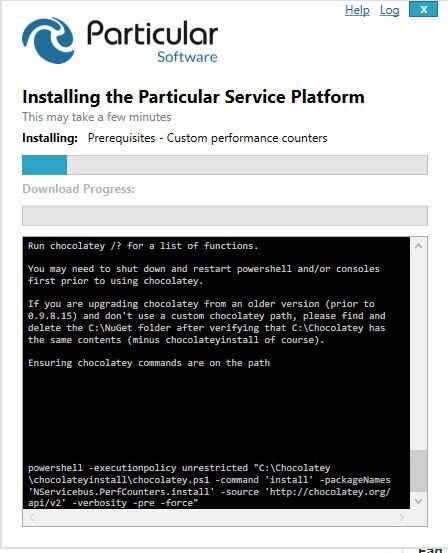 The installation will take care of setting up performance counters, RavenDB, necessary windows components such as MSMQ (by default) on your machine etc. Pretty smooth experience for your development box I’d say. Some installation procedures will require you to restart your computer. You will have to proceed the installation manually after restarting at the moment (I already opened an issue about that). In the next post I’ll cover ServiceMatrix. Stay particularly tuned.